Almost everyone experiences financial difficulties at some point in life. In certain instances, unsecured loans, credit cards, and other bills add up to an amount that one cannot reasonably hope to repay. If you are facing this situation, you should consider a Scottish Trust Deed. In this way, you can utilize debt consolidation as a tool to escape financial burdens you can no longer sustain. It is a much better option than borrowing additional money or resorting to the use of credit cards, which are actions that only make your situation worse. A Trust Deed is debt solution designed to help you pay a manageable portion of your debt each month and discharge the remainder at the end of the Trust’s term. A Scottish Trust Deed is a scheme designed and backed by the government to help you consolidate debt from all sources into one monthly payment that is lower than the total amount of all your individual monthly repayments. It is only available to residents of Scotland and is a formal arrangement that is legally binding between you and your creditors. Fortunately, it is not necessary to apply for a loan to enter into such an agreement. However, you must have over £5,000 of debt to qualify for a Scottish Trust Deed. A ‘voluntary’ Trust Deed is where an agreement is made between a debtor and their creditors to repay part of what they owe. However, unless creditors agree to all its terms, this type of deed is not binding. A ‘protected’ Trust Deed Is however binding on all creditors. Non-agreeing creditors are denied from enforcing their debt by sequestration or any other means. This depends on how much you owe (and to how many creditors). You must employ the services of a qualified and registered Insolvency Practitioner who will charge a fee to take on your case along with ongoing management charges (taken from your monthly payment before it is disbursed). Typically, an average Trust Deed will cost £4000. If you are completing debt consolidation through a Trust, you are required to submit all unsecured debt. This may include catalogue debts, payday loans, overdrafts, credit card debt, bank loans and similar obligations. Trust Deeds typically do not include mortgages and other types of secured debt. In most cases, secured debts must be paid by you to avoid repossession. You also cannot include student loans or social security over-payments in a Trust Deed agreement. You can obtain debt advice if you are unsure which of your loans are secured and unsecured. How Long Does A Scottish Trust Deed Last? A Scottish Trust Deed typically lasts for a period of four years, although the government may consider granting a longer time frame depending on your individual circumstances. At the end of the four years, your creditors write off your remaining debt, with certain exceptions. Does a Trust Deed Affect My Credit Rating? Your credit rating may be negatively affected by a Trust Deed. Information about debt consolidation and personal insolvencies usually remain on your credit report for approximately six years. However, because you are opting to consolidate debt, it is unlikely you would be trying to borrow money during the period of the trust. How Fast Can the Trust be Set Up? In certain cases, a protected Trust Deed can be arranged in less than two months. The time frame may vary, however, depending on your individual circumstances. In almost all cases, there is a statutory five-week period during which the terms of the Trust Deed are considered by your creditors. At the end of the five weeks, they can either make objections or approve the arrangement. It is recommended that you open a bank account at a different banking institution prior to applying for a Trust Deed. This is because your bank may have the authority to freeze your bank account or simply close it entirely, particularly if they have withdrawn all your cash. Your IP sends a written notice to your creditors outlining the details of the proposed trust. As previously mentioned, the creditors have five weeks to reject or accept the proposal. The Trust Deed becomes protected if few or no creditors raise objections to the terms. Once the Trust Deed is in protected status, its terms are binding and must be followed by all relevant creditors. Fortunately, provided you properly follow the terms of the arrangement, you are protected from your creditors and any action taken by debt collectors on their behalf. Who Is Responsible For Fees? The fee amount is agreed upon by your creditors and trustee at the time the Trust is created. The fees are drawn by the IP from monies contributed to the arrangement by you. Am I Debt Free After Discharge? Provided all unsecured debt was included and you have met your obligations to your Trust Deed, you are completely free of unsecured debt once you are discharged. However, if you borrowed money after the debt consolidation, you may still have financial obligations at the end of the term. Are Trust Deeds Only Available To Homeowners? 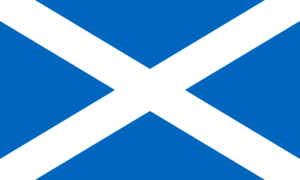 Scottish Trust Deeds are not only available to homeowners. Rather, tenants and individuals living with family or friends may also take advantage of this type of debt consolidation. Is My Home in Jeopardy? It is uncommon to lose your home because you opt for a Trust Deed to eliminate debt. However, each person’s situation is different, and therefore when getting debt advice, it is essential to ask your trustee for a full written explanation concerning your home and its equity. Verbal promises should not be accepted. Instead, you should have a written notice outlining the exact terms you have agreed to regarding your home. Am I Required to Sell My Automobile? In most instances, you are not required to sell your car merely because you are arranging a Trust Deed. It is usually not an issue for you to keep your automobile, provided it is necessary to your lifestyle. However, if it is worth £3,000 or more, you should discuss it with your trustee, as this may make the circumstances a bit more complicated. Will I Lose Personal Possessions? Standard personal possessions that are not associated with exceptional value need not be relinquished when you arrange a Trust Deed. Will My Employer Know About My Trust Deed? You are not required to tell your employer about your Trust Deed. Unless he or she is one of your creditors or is specifically seeking out this information, there is no reason to be overly concerned about your employer learning about your Trust. Will My Trust Deed Affect Future Employment? Regarding obtaining employment, a Trust Deed typically only affects your chances of securing certain types of jobs, such as those in prison service, fire service, police work or other types of employment where you may be required to handle money. Additionally, it may be difficult to find employment if the company runs a financial check as part of the hiring process. Ultimately, debt consolidation is an excellent alternative if your personal financial obligations have become unmanageable. If you are concerned about debt collectors and delinquent monthly repayments, you should consider a Trust Deed as a method of debt consolidation. Seek debt advice as soon as possible to find out more about this option.